…but what about the fresh berry cream puff, Cronut, and cinnamon churro milkshake, just to name a few? 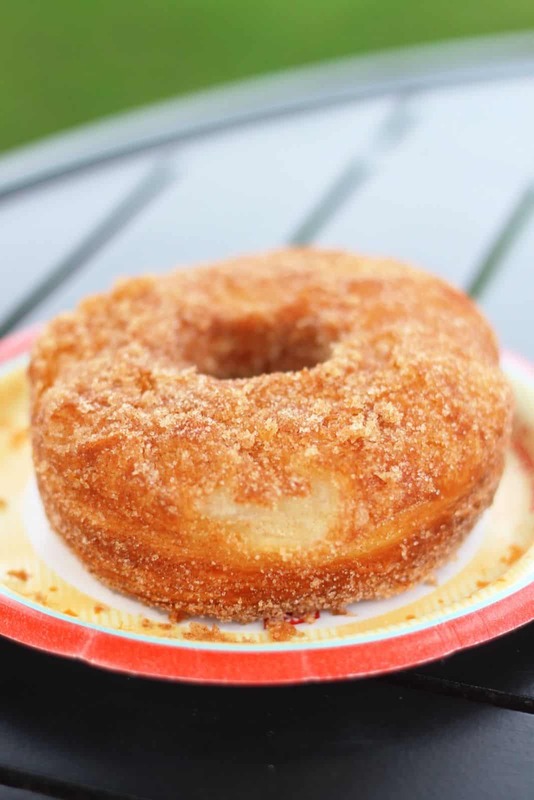 There are so many delicious Disney World treats that seem to get no love. It just ain’t right. That’s why I decided to do them justice. 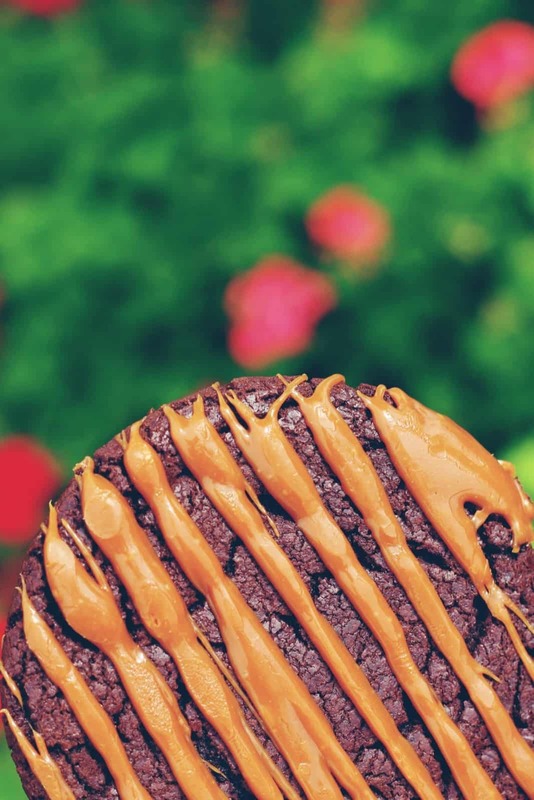 Here are some of the most delicious and mouthwatering desserts you absolutely must try during your next visit to Disney World. And I dare you to get them all in one day! You can get this sweet, light and fluffy treat from Kringla Bakeri og Kafe (Epcot – Norway Pavilion). This cupcake peanut butter fudge filling will melt your hart. You can get this from Starring Rolls Cafe (Hollywood Studios). Possibly the trademark dessert from Les Halles Boulangerie inside Epcot’s France Pavilion. It literally tastes like a salted caramel brownie, minus that brownie edge chewiness. One of the best brownies in Disney World. A warm bite of cinnamon chewiness. If you eat this without blanketing your face with cinnamon sugar, you are legendary. Quite possibly the most underrated dessert at Karamell Kuche. SO. MUCH. CHEWY. CARAMEL. A unique treat for a an acquired taste. Get it from Disney’s Boardwalk Bakery. Wash down this warm Cinnamon roll with Lefou’s Brew. A very peanut butter-y milkshake with a very sweet grape jelly aftertaste. A seasonal cinnamon milkshake garnished with a warm chewy churro. A flaky treat filled with a fluff sweet filling. Another one of those things that deserve more love. I especially love the fact that there are little pieces of caramel covered apples in the oatmeal cookie. There’s just something about eating warm and soft mini churros that always puts a smile on your face. The top of this cupcake is coated with candy. Then once you bust it open, you’ll be in for a sweet surprise. And for more deliciously mouthwatering Disney food pics, be sure to follow me on Instagram. Thanks for reading and have a delicious Disney food adventure. I’m looking for the recipe for the pink lemonade cupcake from Rosies All American. Can you help? It was amazingly yummy! 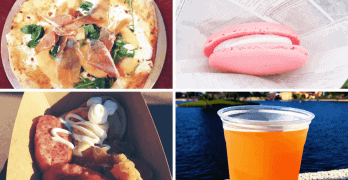 Adam, love your posts about WDW food on Urban Taste Bud! Keep it up! Where do you find the Paw Print Brownie? Sorry if I missed this in the post!